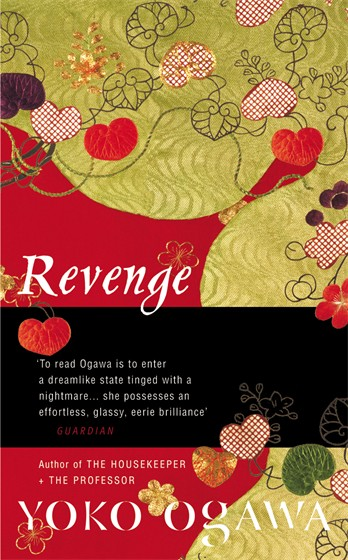 This was a very popular (and almost unanimous) winner, a novel which stood out among a great collection of books. We all loved the beautiful, poetic prose, and the developing relationship between the two main characters – the taciturn giant, Jens, and the curious, talkative boy – was excellently written. Well done to all involved with the book: writer, translator, publisher, and everyone else. Stu, Tony, Jacqui, David, Bellezza and Tony would like to thank everyone out there for all their interest and support over the past few months – rest assured we’re keen to do it all over again next year. A white snowflake embroidered on the hat of a Jew held captive. A salami and half an onion to go with the Italians’ cornmeal which will make soup. A hope that a soldier’s son left at home should not start smoking. And what do these things have in common? Nothing but what they represent: a life without hate. A life without suffering. A life without war. Emmerich, Bauer, and the narrator beg their commanding officer to be allowed to go hunting. For if they set off in the freezing cold, succeed in finding a Jew, and bring him back, they will not have to be a part of the executions on the base. When Emmerich sees a group of trees with less frost on them than others, he discovers the hiding place of a young Jew. As the four of them make their way back to base, they discover an abandoned house along the way. Stopping there, they put the Jew in the storeroom, and proceed to make a meal which requires burning almost every piece of wood they can find: chairs, cupboards, doors. The hot meal gives them comfort, until they must face what to do with their prisoner. For by including him in the merest resemblance of life, a meal, they have taken away his prisoner status. It is a dreadful irony; who is the hunter and who is the hunted? Surely our guilt, surely our memory, surely our humanity, will torment us about all the others even if we let one prisoner get away. Content with our decision, I went to bed on April 5 certain that the official short list would include several of the top books from our list. 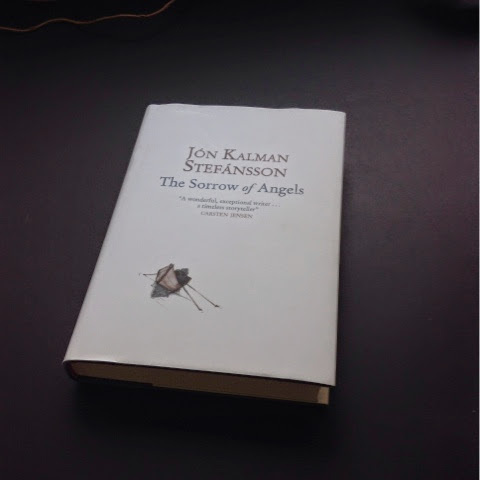 Surely, I thought, it will contain my personal favorite: The Sorrow of Angels. Perhaps it will become clear some day, to someone, just why these five judges chose the titles they did. Personally, I suspect that the reasons lie beyond literature and take on more of a political nature. Be that as it may, I can’t suggest strongly enough that should you choose to read outstanding translated literature, you take as “must read titles” those from the Shadow Jury’s list. Especially those in the top four slots. They will comprise some of my favorite reading of the year, of that I am certain. My special thanks to Stu, Tony, Tony, Jacqui, and David for their thoughts and input on the IFFP long list. Thanks also to The Mookse and The Gripes for review links to the aforementioned books. I so look forward toward determining what we think should be the winning novel, to be announced May 22, 2014. 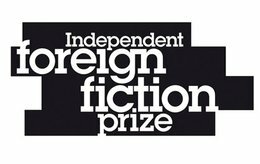 Independent Foreign Fiction Prize 2014: Long List Revealed! I am so thrilled to be reading this for the Shadow IFFP 2014 with Stu, Tony, Jacqui, Dan, David, and Tony. Follow us on Twitter at #IFFP. 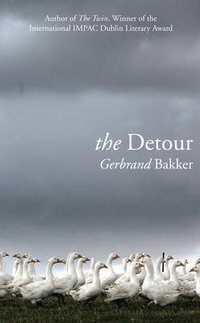 With this poem as its foundation, Gerbrand Bakker writes the most piercing novel I have read all year. It unfolds slowly slowly slowly before us as he teases out the reason why Emilie has come to Wales, to live in a thatched cottage once inhabited by old Mrs. Evans, and dwell there with the white geese who gradually are reduced to only four. Halfway through the novel a boy with black curly hair, and a great dog named Sam, join her. The boy cooks for her, and fixes up the garden, and refuses to leave each time she asks him. He doesn’t inquire about the way her lucidity slips away from time to time, nor about the strips of pills from which she gradually presses more than one to ease her pain. He simply stays with her resolutely. Far away in Amsterdam, Emilie’s husband decides to look for her. He meets with her parents, he hires a detective, and eventually he sends a card which simply says her name, and his, with the words “I’m coming” in between. 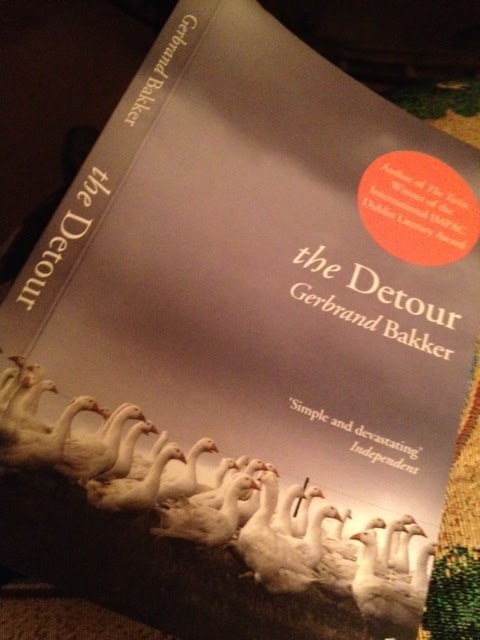 I chose to read this book because it was short listed for the IFFP; I feel no need to read any of the other contenders. It is so completely satisfying, so beautifully told, so multi-layered and rich in meaning that I am hoping already it is declared the winner. Find more thoughts here and here and here. 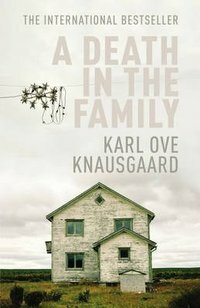 Karl Ove Knausgaard’s A Death In The Family is an experiment that has paid off handsomely in his native Norway, where the author has emerged as one of the leaders of his country’s new generation of literary talent. 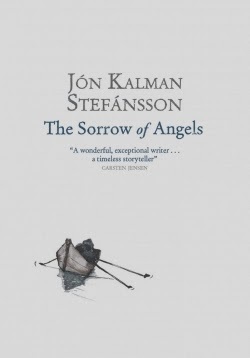 The first of a mighty six-volume series totalling over three thousand pages, Knausgaard’s ultra-realist form of writing blurs traditional boundaries to such an extent that it impels the reader to question the very notion of fiction. 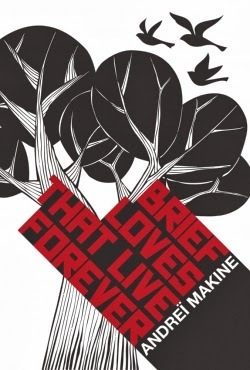 A Death In The Family is a story about a young boy – Karl Ove – and his struggle to cope with his entry into adolescence in a family dominated by a distant father of whom he is both envious and terrified. 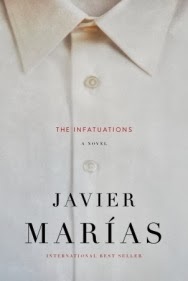 When his father dies suddenly, thrusting the narrator into an adult world for which he is scarcely ready, he must confront the contradictions which crowd his mind over his father’s death, and quickly adapt. 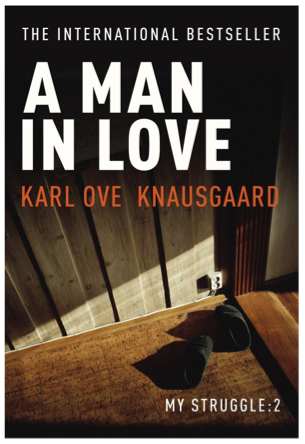 This plot is secondary to Knausgaard’s observational brilliance, as he picks over what at first seem to be the most inconsequential details of his past in order to reconcile his future. 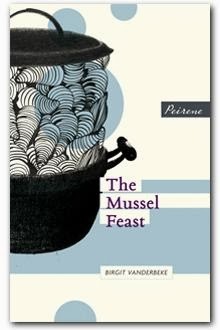 It is an extraordinary undertaking, and one not without controversy – as Knausgaard’s family and friends would certainly attest. They have unwittingly found themselves at the centre of a story about the rise of Norway’s latest literary sensation. Sometimes a novel feels like a closed circle – you reach the last page and sense that everything has been tidied away. This is not one of those novels. Though it reaches a natural conclusion, it lingers like a thick stink. Everything is elliptical. A Dutch woman arrives in rural Wales to begin an indefinite stay at a rented farm cottage. As she settles into her new life, we are drip-fed details. She is an academic fleeing some sort of scandal. 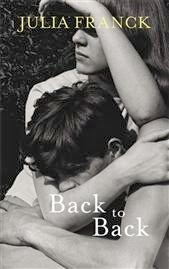 Her marriage is in tatters and she is plagued by aches and vivid dreams. She begins to unwind and seems little surprised when a stranger wanders in off the hills one morning, and established himself in her home. The perspective switches and suddenly we are with her husband. He is working to piece his life back together and soon he is on her trail, accompanied by a weirdly over-familiar detective. The novel skips back and forth between these strands until they become inevitably knotted. 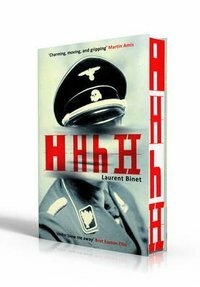 HHhH, the debut novel from Laurent Binet, tells the story of Operation Anthropoid, two Czechoslovakian parachutists’ mission to assassinate Nazi commander Reinhard Heydrich. 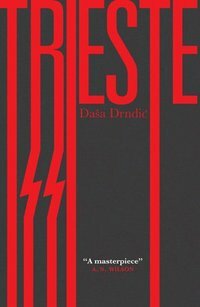 With skill Binet guides us through Heydrich’s cruel ascent to power, the Resistance fighters’ preparations and the crucial showdown in Prague. But Binet also shows us something less familiar to the historical novel. Interwoven with the narrative of the Nazi monster and the Resistance heroes is the narrator’s own story. He regularly digresses from Operation Anthropoid for brief asides on the nature of historical fiction and the impossibility of ever reconstructing historical events with absolute accuracy. The novel is made up of short, self-referential chapters, hopping from 1942 to the present day where the narrator struggles with ideas of veracity as he writes the book. 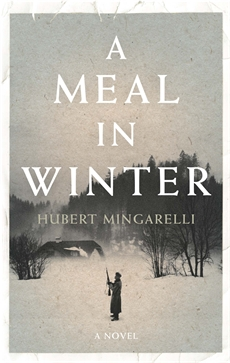 Lines such as ‘there is nothing more artificial in a historical narrative than this kind of dialogue’ and ‘once again I find myself frustrated by my genre’s constraints’ should give you some idea of what to expect. While this might seem like a familiar form of postmodernism, don’t despair. 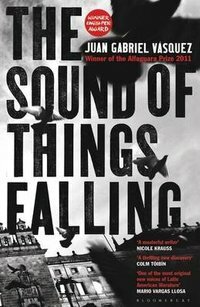 The Sound of Things Falling begins in Bogotá, Colombia in 2009, where Antonio Yammara reads a news article about a hippopotamus that has gone astray from the private zoo of the late cocaine lord Pablo Escobar. 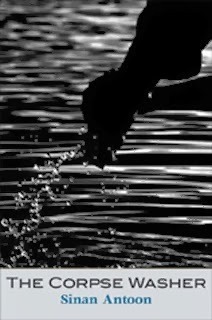 The article leads him back to his memories of Colombia during the eighties and nineties, his near-death in a mafia assassination, and the man who was the real target: Ricardo Laverde, a half-broken man with a murky past and a cassette tape whose mysterious contents may well have been what got him killed. 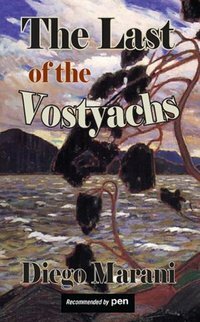 Ivan is a the last remaining speaker of the imaginary Vostyach language, but he has been struck dumb after witnessing his father’s murder in a Siberian mine. He has never known exactly why he and his father were consigned to the mine, and he has been there so long that the supposed crime hardly matters to him. Twenty years after Ivan’s father’s death, the guards desert their posts and Ivan escapes. Guided by a mysterious force, he returns to his home and meets a linguist who is amazed to discover Ivan’s language. Soon, Ivan becomes the centre of a complex plot involving sabotage, desperation and violence. The Last of the Vostyachs won two literary prizes in Italy – The Premio Campiello and The Premio Stresa – and it’s easy to see why. It’s a complex and immersive novel which will reward a patient reader. Although the beginning feels disorientating, in keeping with Ivan’s state of mind, the narrative soon finds its feet. 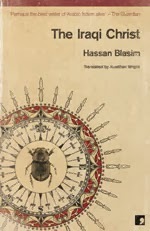 There is humour, but this is expertly balanced with a poetic and profound connection with nature and the landscape. 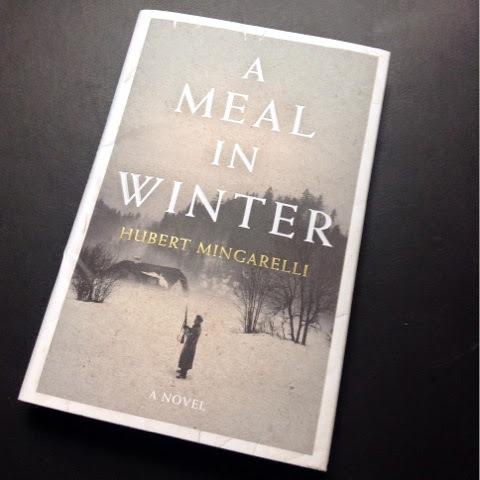 This is a short novel, but it packs a real punch: profound, mysterious and thought-provoking. 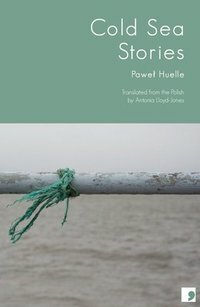 The eleven complex, atmospheric tales in Cold Sea Stories are all set around the Baltic coast. In one story, a shepherd watches a pirate ship as a mysterious figure buries a chest on the beach; in another, a prisoner scrawls in the sand on his dungeon floor, telling the tale of his failed pursuit of the world’s first language. Each story is a world away from the one before, and each story contains an entire world. In September 1943, German soldiers march on Gjirokastër, the first city in their invasion of Albania. The townspeople, expecting the worst, try to hide in their homes as eighty hostages are taken and rounded up in the town square. But then something unexpected happens: Instead of bullets, they hear music. It sounds like Brahms, and Strauss, and Schubert. It is coming from the gramophone in Dr Gurameto’s house. What happens in Dr Gurameto’s house that night will change the course of Albania’s history and come to define the doctor’s own personal fate. But what really does happen? 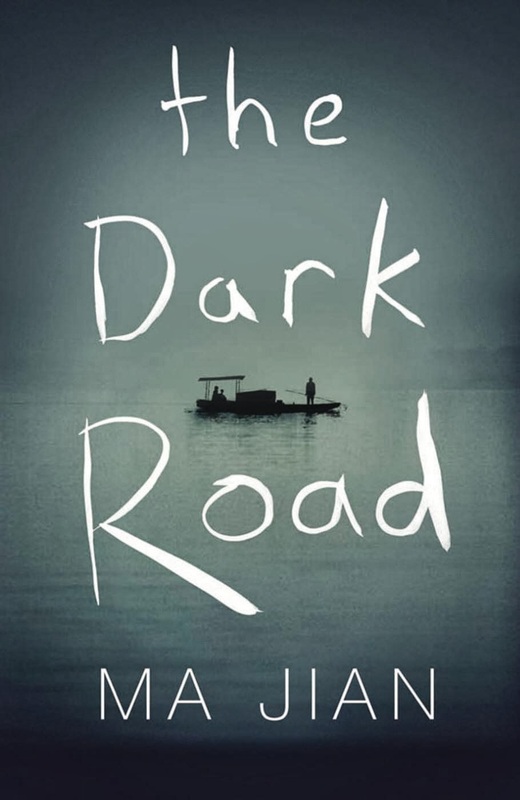 As Albania moves through Nazi occupation to communism, the people keep returning to that mysterious dinner party, looking for answers as their country descends into madness. This is a riotous account of a Black dandy trying to cut it in Paris today. Buttocks Man is down on his uppers. His girlfriend, Original Colour, has cleared out of their Paris studio and run off to the Congo with a vertically challenged drummer known as The Mongrel. She’s taken their daughter with her. Meanwhile, a racist neighbour spies on him something wicked, accusing him of ‘digging a hole in the Dole’. And his drinking buddies at Jips, the Afro-Cuban bar in Les Halles, pour scorn on Black Bazaar, the journal he keeps to log his sorrows. There are days when only the Arab in the corner shop has a kind word; while at night his dreams are stalked by the cannibal pygmies of Gabon. Then again, Buttocks Man wears no ordinary uppers. He has style, bags of it (suitcases of crocodile and anaconda Westons, to be precise). 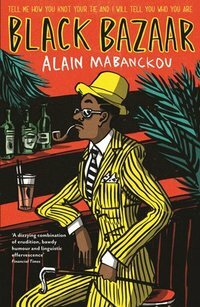 He’s a dandy from the Bacongo district of Brazzaville – AKA a sapeur or member of the Society of Ambience-makers and People of Elegance. But is flaunting sartorial chic against tough times enough for Buttocks Man to cut it in the City of Light? In a place near Mozambique where no one knows the boundary, drought is changing everything. Tens then hundreds of people seek refuge in a forgotten outpost where a clinic is run by lonely souls of uncertain training, nuns staunchly determined to serve. But the inundation soon becomes too much for them, and there is no help from outside. 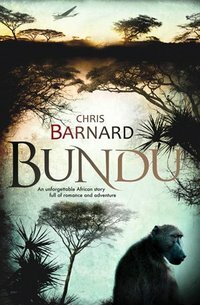 Within the small community of outsiders a plan takes shape that is as outrageous as it is inspired, when Brand de la Rey, an ecologist who is researching the local baboons, organizes a desperate mission for more supplies, using a damaged airplane that is unfit for purpose. Samuel Riba, until recently a successful Barcelona publisher and drinker of alcohol – now very much an ex-publisher, a teetotaler and an imperfect husband spooked by turning sixty – wants to make the English Leap. He wants to be at the Centre. He’s bored and antsy and frustrated that he has never, in his long publishing career, discovered the one writer of genius who would have made it all worthwhile. He wants to go to Dublin on Bloomsday and hold a funeral for the printed word. He doesn’t know what he wants. 1980s Syria, our young narrator is living a secluded life behind the veil in the vast and perfumed house of her grandparents in Aleppo. Her three aunts, Maryam, the pious one; Safaa, the liberal; and Marwa, the free-spirited one, bring her up with the aid of their ever-devoted blind servant. Soon the high walls of the family home are unable to protect her from the social and political changes outside. Witnessing the increasing crackdowns of the ruling dictatorship against Muslims, she is filled with hatred for her oppressors, and becomes increasing fundamentalist. In the footsteps of her beloved uncle Bakr, she takes on the party, launching herself into a fight for her religion, her country, and ultimately, her own future. 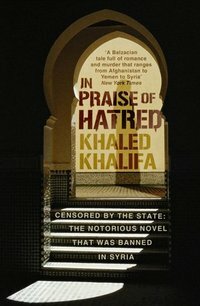 On a backdrop of real-life events that occurred during the Syrian regime’s ruthless suppression of the Muslim Brotherhood in the 1980s, In Praise of Hatred is a stirring, sensual story. Its elegant use of traditional, layered storytelling is a powerful echo of the modern-day tragedy that is now taking place in the Middle East. 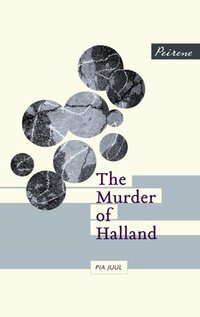 Let’s get one thing out of the way before we begin: The Murder of Halland is a Scandinavian crime novel. It’s set in Denmark, the titular Halland is shot at the beginning, and the rest of the book is structured around the police’s attempts to find out who dunnit. These facts, however, are the least interesting things about it: if anything, Pia Juul’s cool, oblique, unsettling novel invokes membership of a genre only to flagrantly disregard its requirements. 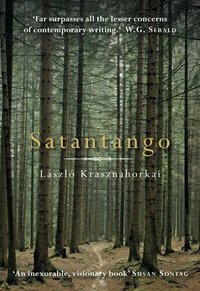 László Krasnahorkai’s novel Satantango, first published in Hungary during the dying years of Communism and now newly translated into English by George Szirtes, is a desolate and terrifying vision of a moribund society, shot through with black farce and prophetic satire. The story is this: Irimiás, a mysterious figure until lately believed dead, returns to a dying collective farm whose residents are thinking only of shutting up shop and escaping. Irimiás is part trickster, part devil and part messiah, a charismatic and seemingly unstoppable force who manipulates, swindles and controls the desperate villagers until, between them, they create something that looks very much like hell. With its trickster protagonist, bewildered peasants and savage social critique, Satantango has been compared to Gogol’s Dead Souls, but Krasnahorkai’s world is bleaker than that of Gogol’s provincial conmen and credulous serfs. In astonishingly sinuous prose, gorgeously rendered by Szirtes’ supple translation, he anatomizes a broken and impoverished world – a world which seems inexorably to be circling the cosmic plughole. In a crumbling Ottoman mansion in a sleepy seaside town, a widow, Fatma, endures the annual summer visit of her grandchildren. 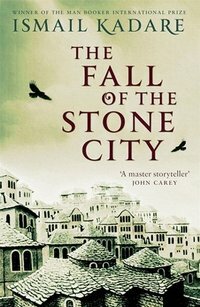 Her late husband, a secular firebrand, moved her out from Istanbul years ago to devote himself to writing an encyclopaedic book which would teach the Turks the values of secularism and modernity: now he is long gone, and Fatma, attended to by her faithful dwarf Recep, is a semi-monstrous figure, selfishly oblivious to the drama about her. Amongst her visiting grandchildren are Faruk, a failed historian; the gifted and diligent Metin, who dreams of a life in the West and is desperate, at any cost, to infiltrate the society of rich teenagers in the town; and Nilgun, a sensitive and slightly naive young leftist. When Recep’s nephew Hasan, a disaffected drifter with nothing to do but dabble in right-wing nationalism, falls for Nilgun, the stage is set for an explosive series of events. In post-Napoleonic Germany, a traveller on his way to Dessau stops off for a night in the mysterious city of Wandernburg. He intends to move on the following day, but the town begins to ensnare him with its strange, shifting geography. After befriending an old organ grinder and falling for the daughter of a local merchant, he soon finds it impossible to leave. 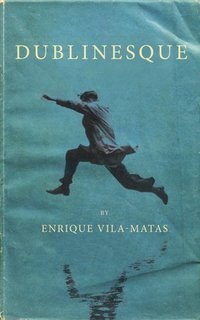 A novel of philosophy and love, politics and waltzes, history and the here-and-now, Traveller of the Century is a journey into the soul of Europe, penned by one of the most exciting South-American writers of our time. Trieste opens with an old woman, Haya Tedeschi, sitting alone in Northern Italy awaiting the retiurn of her son after sixty-two years. Gradually, the reasons for his absence become clear: fathered by an SS officer, he was abducted by the Nazis as part of their Lebensborn programme for “racially pure” Europe, and never made it home again. The ensuing narrative largely takes place within the multiplying refractions of Haya’s kaleidoscopic memory – stories of loss, resistance and atrocity that speak in a clamour of competing voices. 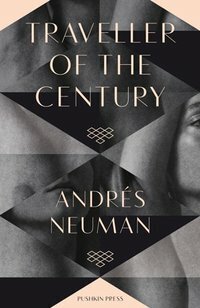 The past, quite literally, refuses to lie quiet, and as much as anything else this is a novel about remembrance and its discontents. 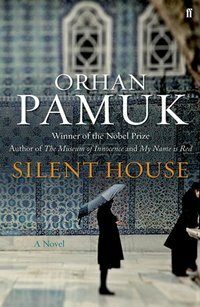 The only one I own is Orham Pamuk’s Silent House; I haven’t yet read any of them. Have you any suggestions? Are you hopeful for any particular title to emerge victorious? I’m going to do my best to try to read at least some of them before the prize is announced in May. If anyone wants to read a particular title along with me, let me know.